A day in the Life of trying to live a Zero Waste lifestyle is far more difficult than one might think! As you know we watch a video about Living a Zero Waste lifestyle. It was, is very inspirational for us, but doing it is far more difficult then we figured it would be. We discovered there are many items you can not purchase in bulk. 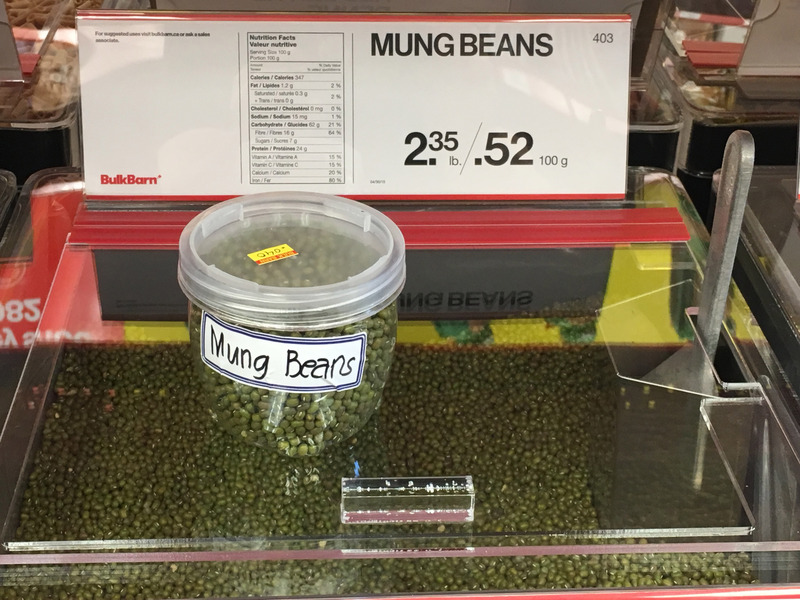 One place that is very helpful is “The Bulk Barn“, they encourage you to bring your own container. However, once piece of lint may render your container none useable for that shopping trip. 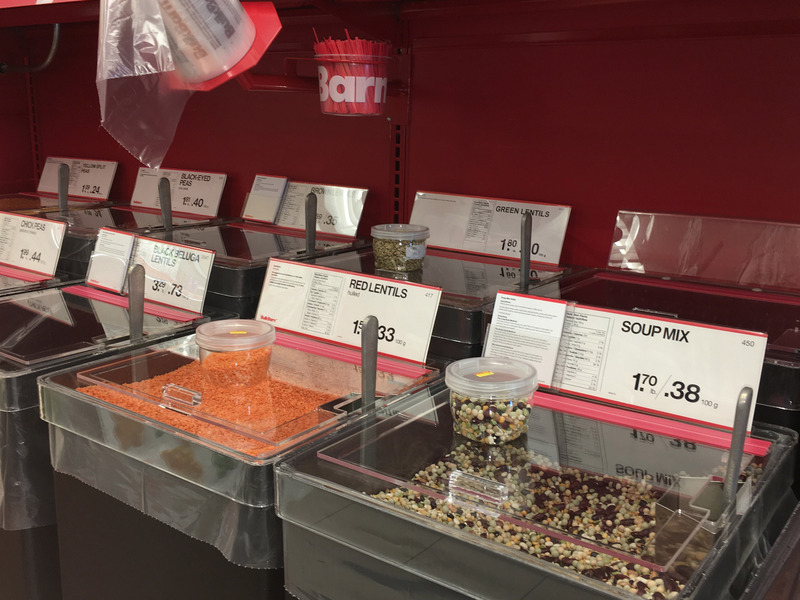 Our shopping day will normally begin at the Bulk barn since we are Whole Plant Based eaters find really the best prices for what we enjoy eating. Whether it is grains, spices or nuts and dried fruits. We have over the past few months purchased some very nice sealable containers at the Bulk Barn. At first, we thought they may be cheaper at Walmart, but to our surprise that is not the case. We use the OXO containers for our Rolled Oats, Perl Barly and Rice. These work perfectly and in our little pantry in the Motorhome, they are a perfect size! We also have spice jars we found at the Barn and some yoghurt containers for other odds and ends. So the difficult part is being able to find items such as Soya Sauce or various kinds of vinegar we like to use in our cooking in bulk. I think using the Bulk Barn is a great first start in your road to A Day in the Life of a Zero Waster. Then sales people are very knowledgeable and the people at the store in Niagara Falls are so pleasant and helpful. Every time I go shopping there seems to be some spice I need that I have never heard of. The staff are always there to assist in finding it for me, which I so truly appreciate! 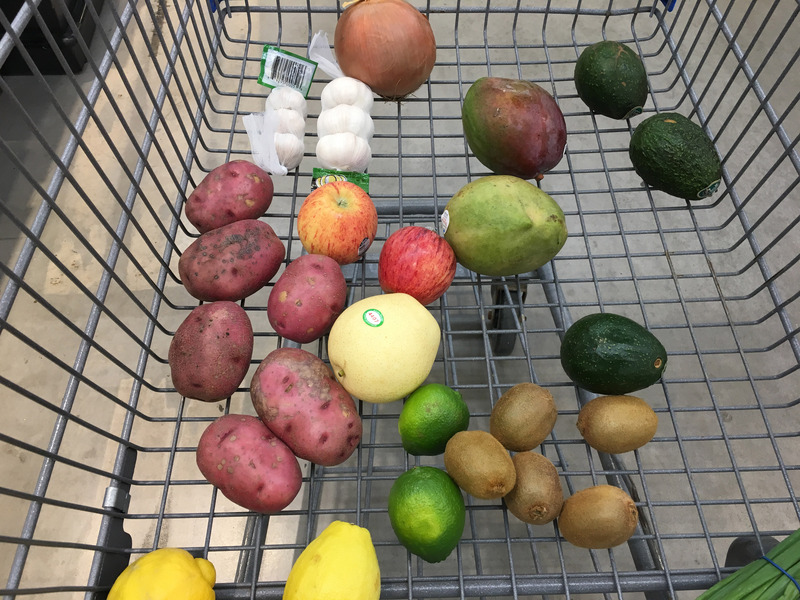 Since Michelle and I try to eat only a Whole Plant Based diet (Forks over Knives) we only really purchase fresh fruits and vegetables, and this is one place where we find it so easy to go Zero Waste and that is we now don’t bag each kind of fruit or vegetable as we use to and that has to save at least 10 – 15 bags a shop. I am amazed when I look around me in the produce section with the number of people using plastic bags. Each kind of fruit or vegetable gets a plastic bag. Those bags head home and then into the recycling or even worse the landfill. Michelle has been making our own produce bags that are reusable. You can purchase them of course, this is a one time cost that can help reduce and reuse and it makes you feel good! The pre-made bags can be rather expensive, where making your own are certainly cheaper in the long run! For some of the containers we use for dry foods, we found a fantastic option at Dollarama, which you can see in the image above. These are only a couple of dollars and reusable. This is one area where I struggle. We have yet to find a place that will dispense liquids to your own containers for your use. Over the past month, I purchased Organic Beer from the LCBO, in a four pack and of course I have the empty bottles plus the box they come in. We have found uses for the boxes in the motorhome, but the bottles will be going back to the recycler. I guess that does not make it trash, but we have no further uses for the boxes of anything we may purchase in the future. In my opinion leaving the boxes at the LCBO, is no better as they will certainly be tossed out. For us, it’s been small steps to improvement in our Waste output. We will continue to improve, and hopefully be able to go fully Zero Waste like Mailyne who’s is our inspiration to change our way in the world! Be sure to check her blog out and watch her video. If you have and stories or advice to go Zero Waste be sure to leave them in the comments or email us directly.